As a person with a prophetic disposition I sometimes receive words or subtle indications from the Lord about a variety of subjects and issues. I am sure it may also be the pizza I had the night before. I have been wrong before. I often wrestle with what I should share and what I should keep to myself. This time I sense it is for the Church to consider. I suppose when these impressions are from the Lord it is only one part of many parts for us to gain a perspective for where we are personally or corporately. That’s why I love working with the different tribes of the Body of Christ…I get to see the pieces from each stream coming together to reveal a high-definition picture of the Lord. Around 2014 I began getting an impression that another Scriptural emphasis is coming our way that may seem at odds with the “present truth” of the much-needed “Grace Message”. First of all let me state here that I love the Gospel of Grace (see Acts 20:24). For those in the know, this message of emphasizing the unmerited favor of God has been sweeping the world over the last several years. Never before has there been such an acceptance of focusing on our identity in the last Adam, instead of who we were in the first Adam. It is a sweet and refreshing wind from the Spirit of God releasing His people from striving and struggling to earn what has been freely given through Jesus Christ. Focusing on Jesus and what He has accomplished for us is what transforms us and gives us true liberty and freedom. Freedom is not the absence of something but the presence of Someone! (See 2 Corinthians 3:17). Some trace the recent resurgence of the Grace Message to the prince of this movement…Joseph Prince from Singapore. I have enjoyed watching all kinds of ministers throwing out old tapes and CDs from their teaching library that focused on our subtle but very real strivings, to earn our righteousness. Some prominent prosperity and faith teachers are changing their sermon topics to grace. More Grace Churches are springing up as well. I have even seen some “hell fire and damnation” preachers allow for the occasional addition of the Gospel of Grace in their repertoire of sermons. Much of the Church still hasn’t discovered the fullness of His grace but that is changing every week. Some who may misunderstand the Gospel of Grace will say this “easy-believe-ism” message is condoning sin and removing the necessary guard rails of the Law that keeps believers from sinning. The apostle Paul was slanderously accused of the same error in Romans 3:8. In fact, when was the last time our preaching of the Gospel got us accused of having a reputation of saying sinning is OK? Are we preaching the same Gospel Paul preached or some hybrid? Something to think about. 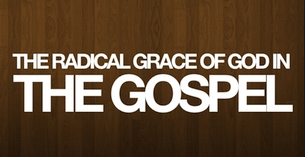 The Gospel of Grace maybe like other teachings that dominated the conversation in years past like; the Holiness movement of the 1940s, the Healing movement of the 1950s, The Charismatic movement of the 1960s and 70s, the Word of Faith and Prosperity movement of the 1980s and 90s, the Apostolic or Kingdom movement of recent years. Some of these may be the winds of doctrine spoken about in Ephesians 4:14. It is important to note the Ephesians text doesn’t say all these doctrines were error, just that they should all lead us to maturity in Jesus. Verse 15 admonishes us to grow up into “ALL” these things into “HIM” who is the Head – Christ. What About The Year 2023? But back to the year 2023. I believe I see a new spiritual emphasis coming to the forefront of the world. I don’t know if 2023 is the beginning, middle or end of this movement. The only way I know how to describe this emphasis would be a great move of Repentance. What I saw in my mind’s eye was as if the greatest news to multitudes of people is that someone is giving them a new opportunity to repent of their lifestyles in order to connect with God, who they have been ignoring. For our discussion here I will call it the “Gospel of Repentance”. In 2023 I see it becoming recognized as an effective movement or teaching in Europe and then spreading to America and around the world. I run a risk here of trying to explain this phenomenon instead of just simply stating what I see. Please allow me to be fallible here. I sense this Repentance emphasis will seem strange to many believers who will have difficulty reconciling it with what they have been hearing over last 20 years. We rarely hear strong messages to repent and turn from our sinful ways anymore. Some even infer that the “act of repentance” is unnecessary today, because it indicates we are subtly engaging in a type of self-effort to be righteous. But the results of this message of repentance will be remarkable and difficult to dismiss. Just as the masses are now accepting the Grace message, I see multitudes accepting the “Repentance Message” (a God-given eagerness to repent and fully surrender to Him). I sense a younger man will be the initial figure-head of this emphasis, but many will take up this mantle. I am puzzled because I don’t see what Scriptures they are using or what kinds of sermons are being used, but I see amazing results. I see a new zeal in these repentance ministers, but I don’t see what the “secret sauce” that is in their message, other than the presence of God’s Spirit at work. I think this is more than the axiom of Grace to the believer and Law for the sinner at work here. It is as if the whole world is ready to repent…like they really want to. With so much of the Church in the West in retreat and unfettered licentiousness spreading throughout our culture this may seem improbable. Yet the freedom to sin with who and with as many people as they want, appears to cause the culture to reach a tipping point. It is as if the lost themselves will become deeply sickened by their own lifestyles. They will be filled to brim with their own lustfulness and the lifeless consequences that comes with it. Their cup of iniquity will become so full, that they will become desperate for the lifeline of the Gospel of Repentance. I see parts of the earth so ripe for harvest that the fruit almost falls to the ground of its own accord. It will seem as if any Christian reading the “phone book” before a group of lost people is enough for an altar call almost anywhere. 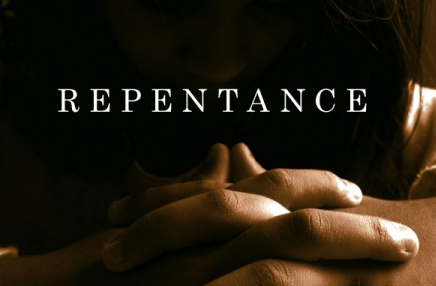 This Gospel of Repentance may have some of the same DNA of ministers like George Whitefield, John Wesley, Jonathan Edwards, Evan Roberts, D L Moody, Billy Sunday, Charles Spurgeon, William Booth and countless others. It’s important to remember, that although today the Gospel of Grace appears to be a superior revelation than what these men preached in the past, their results were unmistakably Biblical. The high retention rates of their converts, the high percentage of those converts called into ministry, the godly lives they lived and the godly families they produced as a result of their preaching is unequaled in the Church. Their message caused the powerful cultural changes of the 1st and 2nd Great Awakenings. Are we on the verge of a 3rd Great Awakening in America? Will the Church rediscover the Biblical purpose of grace? Listen to Titus 2:11-12; For the grace of God that brings salvation has appeared to all men, teaching us that denying ungodliness and worldly lusts, we should live soberly, righteously and godly in this present age… Here we see that Biblical grace instructs us to deny sin, not accommodate it. The current sin-level in our culture as well as in the Church may be an indication that some of the current “grace messages” are a counterfeit gospel. Something to think about. Perhaps the Grace Revolution is just what the doctor ordered for the people of God suffering from dead religion, so they could enter Christ’s rest and find His strength for the Harvest to come. Perhaps the Repentance Revolution is what the world desperately needs as it discovers its dream of a world free of Jesus and Christianity has turned out to be a horrible nightmare of artificial freedom leading to slavery to the very things they thought would bring them happiness. Posted in Most Popular Articles and tagged 3rd Great Awakening, Gospel of Grace, Gospel of Repentance, Jeffrey B Krall, Jesus Christ, Joseph Prince, Present Truth on June 19, 2014 by Jeff Krall.